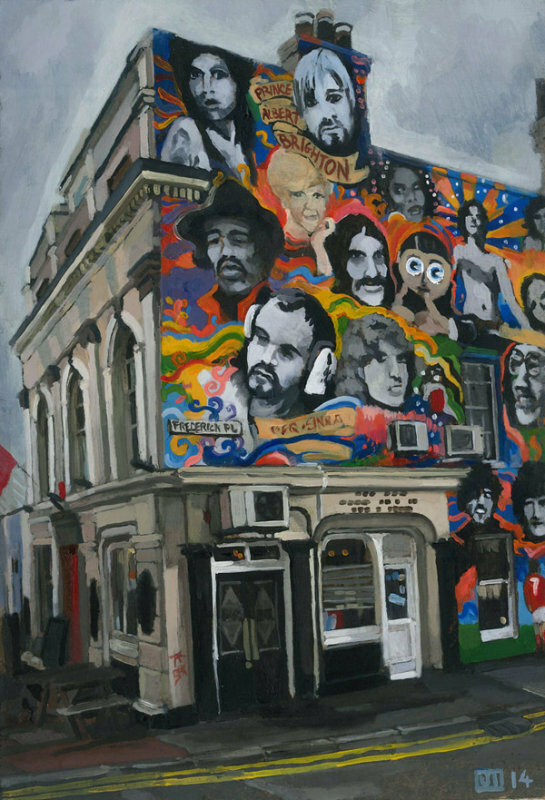 The Prince Albert is a big noisy music pub and I like their dead music icons mural too. I enjoy painting graffiti in streets or buildings like this. Not sure who the face floating underneath Kurt Cobain is supposed to be, or why Frank Sidebottom is included though?